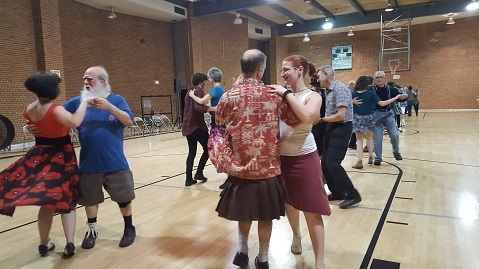 There will be a Contra Dance at Spring Creek Road Baptist Church, 1312 Spring Creek Road in Chattanooga this Saturday. Contra Basics instruction begins at 7:30 p.m. and the dance will be from 8-11 p.m. Calling is by Donna Calhoun and music is by Ed & Elsie.